​Victory Hall DRAWING ROOMS, Jersey City, presents our Spring 2014 exhibition, gathering nine artists working in the NY/NJ area who have taken on the task of exploring and reinventing abstract painting to make their own personal, visual statement. 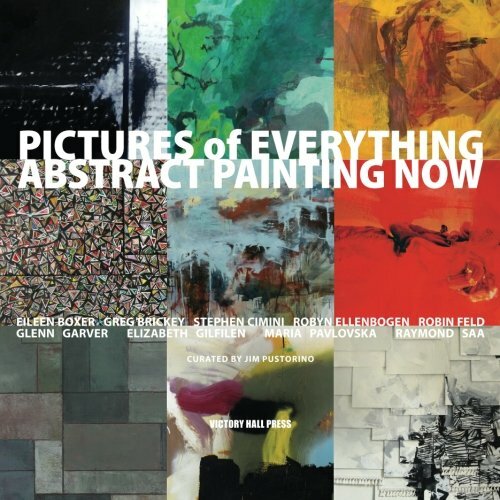 Featuring works by Robin Feld, Stephen Cimini, Greg Brickey, Robyn Ellenbogen, Eileen Boxer, Glenn Garver, Elizabeth Gilfilen, Raymond Saa and Maria Pavlovska. Curated by James Pustorino Pictures of Nothing or Pictures of Everything? Does abstract art empty out content and subject matter, or does it pile on those concepts in order to make a painting that says even more than the thousand words a picture is supposed to have assigned to it? People are have been debating the simplicity or complexity of abstract painting for more than a hundred years, and continue to be moved by new abstract works in one way or another, both emotionally and intellectually. Several years ago Kirk Varnedoe, former Curator at the Museum of Modern Art, delivered an important series of lectures about Abstract art since the 1950s called Pictures of Nothing. Starting with the famous drip paintings by Jackson Pollock, he described how abstract painting moved from active, expressive imagery to the more rarified “empty” forms of minimal art and beyond. But what has happened since then? When we look around, much of the abstraction being made now seems full of content: ideas, emotion, form, color, drawing -- and sometimes even images that seem to be appearing or disappearing. In this exhibition, we take a look at what is going on currently in the world of abstract art through the contributions of these artists, and the statement it suggests recalls the title of one of our exhibiting artist’s paintings: Everything Included.